The BSE was closed today, so I had nothing to do all day. 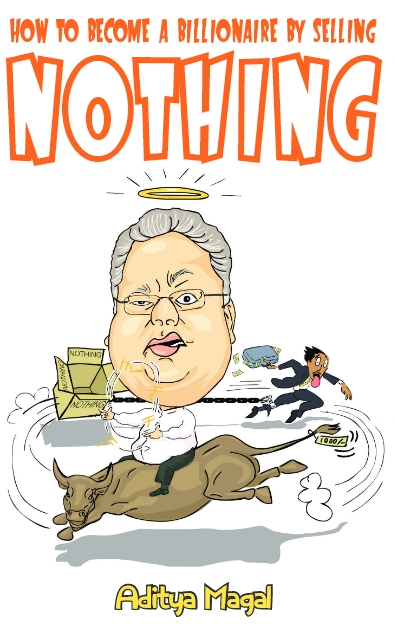 CB Bhave personally called me and told me that because the terrorists had taken over the Taj Hotel and the Oberoi Hotel and left the city in a state of chaos there would be no trading on the stock market. I always enjoy an unexpected holiday but I do not enjoy being told that I can’t show off my genius on a daily basis. In any case I was pissed with the terrorists and since I was stuck at HOME all day I decided to call up the HOME Minister to demand an explanation. "Yo dudes! You’ve reached Shivraj Patil’s residence. Sorry I’m not available at the moment because I’m in Mumbai which as you all know is dealing with terrorists. Don’t you ever wonder how come I always reach a place after it’s been attacked by terrorists? I’m sorry for the inconvenience; I will try and get back to you after I get back from Mumbai. For any further help feel free to browse through my voice operated interactive automated user menu developed by BSNL. 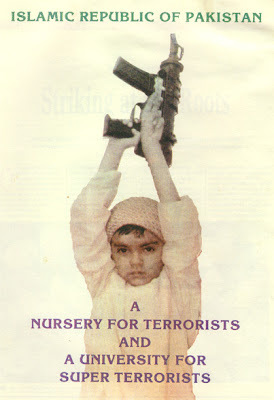 To hear Shivraj Patil “CONDEMN” and “STRONGLY CONDEMN” this attack press #1. Please note this message may sound similar to previous messages delivered after terrorist attacks in Ahmedabad, Jaipur, Lucknow, Delhi, Bangalore, Hyderabad, etc. Any such similarity is purely co-incidental. To hear the Prime Minister’s explanation in Parliament where he will promise the strictest of action with sentences like “We promise to catch the perpetrators of this heinous crime” & “We will do all it takes to stop terror” press #2. 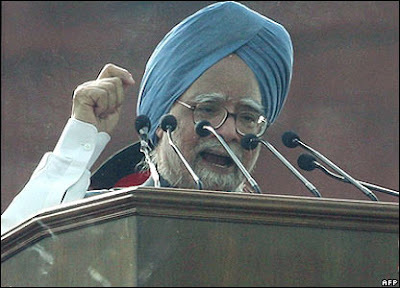 To hear Opposition Party Chiefs criticize the UPA government and blame them for inaction press #3. To hear a detailed explanation on why our Indian Policemen continue to use outdated rusted rifles while terrorists use hand grenades and AK-47’s press #4.Please note you will also hear a message from the Finance Minister saying that because of the Global Credit Crisis the Indian government is unable to procure the latest weaponry. This is our excuse for 2008. To hear previous excuses on why we continue to use outdated weapons press #5 and to hear our future excuses press #6. To know how you can watch an advanced screening of NDTV’s ‘We The People’ where Barkha Dutt will make a big deal (as usual) about this attack with special guests Alyque Padamsee And Prahlad Kakkar press #7. To hear the Pakistani government say that their ISI intelligence agency had nothing to do with this press #8. To hear the Central and State Government’s compensation packages for everyone who has died or is injured press #9. To hear Kevin Peterson blaming the terrorists for carrying out these attacks after his team was thrashed 5-0 by the Indian Cricket Team instead of before thereby robbing them of an opportunity to abandon their tour earlier press #10. 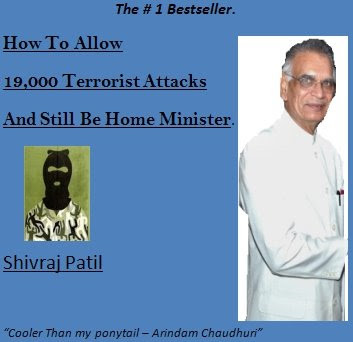 To buy the latest copy of Shivraj Patil’s newest book ‘How to allow 19,000 terrorist attacks and still be Home Minister’; press #11. To replay this entire menu in Hindi press #12."